One of the benefits of being a Beauty Blogger is you get exposed to beautiful brands you would otherwise not even know. I have tried already a wonderful citrus facial cleanser and a primer, foundation and concealer from Mia Mariu and I was always impressed. Today I have some beautiful make up from Mia Mariu to show to you! Mia Mariu is cruelty free! "The Mia Mariu philosophy makes the connection with Beauty and Health in Harmony. Mía Mariu’s high performance products are formulated with the most natural ingredients available helping you achieve vibrant beauty and health inside and out. Each unique product fuses nature and technology by combining the highest quality botanicals, antioxidants, vitamins, minerals and peptides. The result? healthy products that provide a perfect balance that reflects itself through youthful, healthy, beautiful, glowing skin and renewed energy and vitality, at an exceptional value. Mía offers natural skin care, professional makeup artist quality mineral cosmetics and brushes, fine fragrances and nutritional supplements to Reveal Your Unique Shade of Beauty!" I really like the packaging of each item- it is simple, yet sturdy and sleek. I chose the Mia Mariu Mineral Eye shadow duo in "Valle Dorado" which consists of a deep brown and a "pumpkin- spicy- orange- beige". These colors are just perfect for fall! Both colors do have some fall out but they are really deep pigmented and are super easy to blend. Mia Mariu Mineral Eye Shadow Duo "Valle Dorado"
Excuse those eyebrows- I am trying at the moment to grow them in a bit- what a struggle! The Mia Mariu Intense Eye Liner in Black has the perfect consistency for me. I do have very oily eyelids and if a pencil is too buttery it smudges on me- this one is not too soft and not too hard- just in the middle and the black is a really deep matte black. I like it! The Mia Mariu Volumizing and Lengthening Mascara has a classic wand which I like but it is a little too dry for my taste and also has a bit of a strange scent to it. The Mia Mariu Mineral blush in "Maria Azucena" is pure gorgeousness! A peachy terracotta-ish color with some shimmer- verly lovely! The Mia Mariu Hydrating Stick Gloss in "Beso"- oh wow- what a perfect color this is! It is a beautiful pink- not too bright, not too sheer- just wonderful for every day. 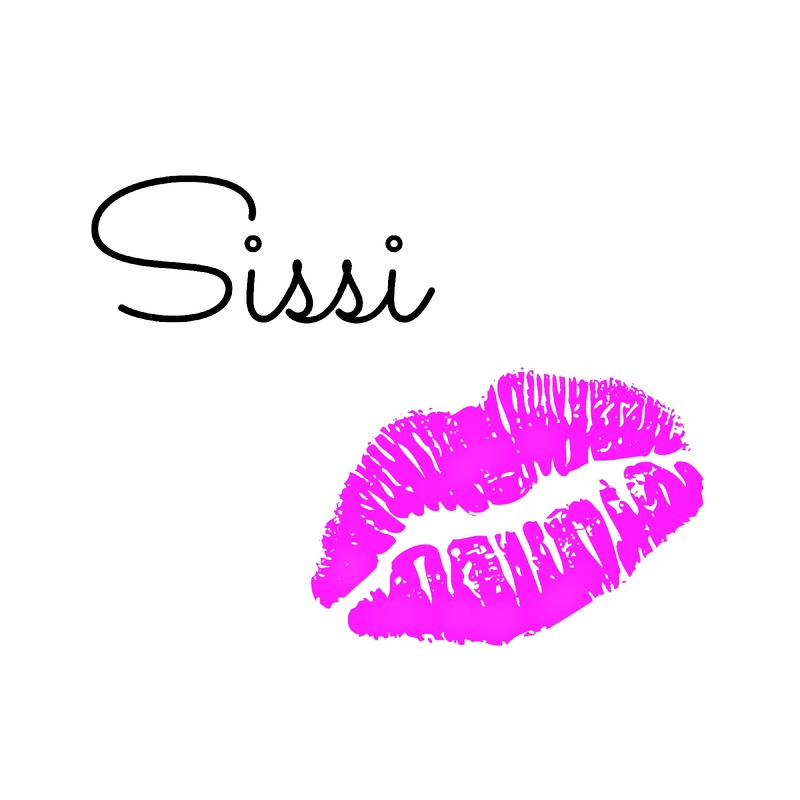 The lipstick is very hydrating and looks nice and shiny. And here is my finished look! And it comes even better! I have a whole set for you to win! 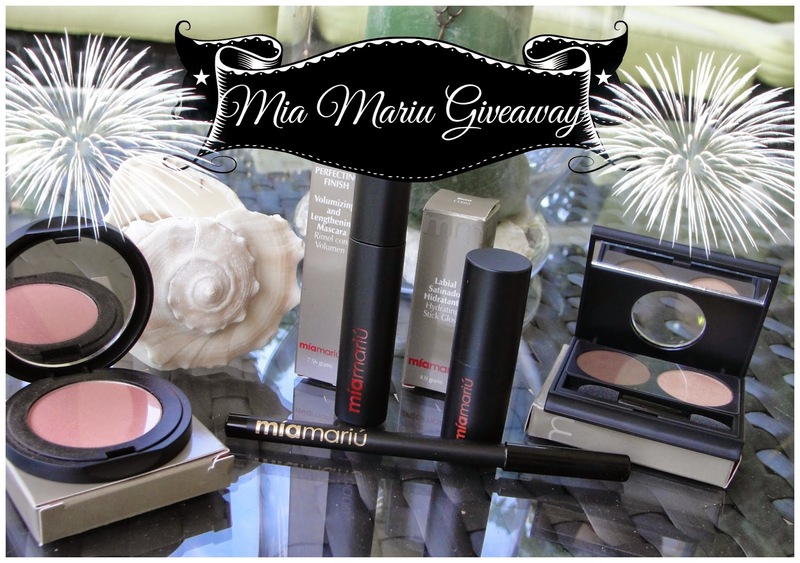 To enter you have to comment which item from Mia Mariu you are most excited about to try! US residents only. Good luck! I received one or more of the products mentioned above for free. Regardless, I only recommend products or services I use personally and believe will be good for my readers.